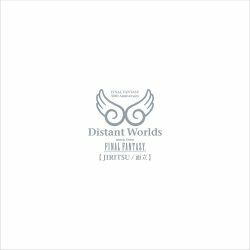 Event-only CD available at the Square Enix Music Shop at Tokyo Game Show 2018. Tags and file names are in Japanese. Big thank you to the ripper. Been sat on my PC for a few days. Sorry for the wait. Might make English to Japanese / Japanese to English batch file (file names + tags) later. Last edited by Sorrow446; 10-03-2018 at 01:39 PM. Aaaaaawesome!!! Thank you for sharing Sorrow, just a quick note: Both links are not working (at least for me). Sorry to hear that. All good here. I can mirror right now. Choose a host . thanks for sharing!!! FF has good musics!! thank you!!!! aerith's theme on this one is great!.